Barbara Wolford Craven, age 78, passed away on Saturday, April 13, 2019 with her family by her side. She was born in Columbus, Ohio on January 16, 1941 to the late Lawrence ‘Jerry’ and Agnes Wolford. She graduated from West High School in 1958 and attended Columbus State. Barbara married the love of her life, Ronald Craven, on September 9, 1961. 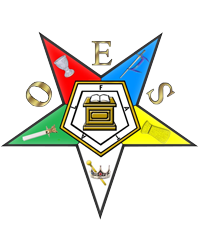 She was very active in the several fraternal organizations: Order of Eastern Star (Past Matron), Daughters of the Nile (Past Queen), Ladies Oriental Shrine, and Jobs Daughters (Majority Member). She was always willing to assist others and participated in numerous fund raising and charitable activities. Barb will be greatly missed by her daughters Rhonda (Andrew) Lucas, Rebecca (Steven) Huffman, son Raymond Craven, grandchildren: Jerald, Alexis, RJ Lucas, Morgan Huffman, Christopher Craven; extended family and wonderful friends. She is proceeded in death by husband Ron Craven, parents Jerry and Agnes Wolford, brother Robert ‘Bobby’ Wolford, and grandchildren: Justin, Jessica, and William Huffman. Memorial Services will be held at Aladdin Shrine Center, 1801 Gateway Cir, Grove City, OH. Viewing Wed 5-7:30 pm with Ladies Oriental Shrine, Daughters of the Nile and Eastern Star services at 7:30. Funeral Service Thursday 11:00 am with viewing before. Memorial contributions may be made to the Shriners Hospital, Aladdin Shrine Center, 1801 Gateway Cir, Grove City, OH 43123 or Ohio Eastern Star Home, 1451 Gambier Rd, Mt Vernon, OH 43050. She touched many lives and will be dearly missed by all.Arrangements completed at JERRY SPEARS FUNERAL HOME, 2693 W. Broad St.